Rich in history, bountiful forested hillsides, and a thriving small town culture, the town of Vernonia offers both visitor and new residents a warm welcome. Travel through the trees, over the streams and under the railroad trestles and you’ll find a small, tight knit community that is ready to be discovered. Vernonia is a small town of just over 2,000 people, nestled in the Upper Nehalem Valley in the foothills of the Pacific Coast Range. It sits at the confluence of the Nehalem River and Rock Creek and is surrounded by forests. Less than an hour from from SW Portland and Hillsboro employment centers, Vernonia is also just 60 minutes away from the Oregon Coast. Known for it’s logging history, Vernonia is remaking itself as a outdoor recreation destination as well as a great place for those looking to escape the hustle and bustle and relocate to the peace and quiet of the country. We invite you stop by for a visit. Come see why Vernonia is such a great place to live, work and play. Live – With a charmingly old-fashioned downtown and a brand new school, life in Vernonia is a mix of old and new. The new Vernonia K-12 school offers a green design, two gymnasiums, new computer labs and a natural resources curriculum that connects to an eight acre wetland just across the road. The high school robotics class has earned awards at several competitions! The walkable downtown core offers shopping, a full service post office, grocery store and two hardware stores. The town has eight restaurants; seven are in the downtown area. The Vernonia Pioneer Museum is a collection of artifacts from throughout the county including items from the local Native American tribes, early settlers and logging. 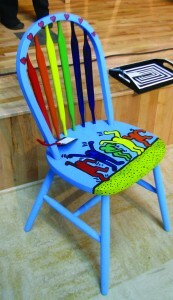 The community library offers after school and summer reading programs for children. A chess and stamp club meet there regularly as well. The Vernonia Library is also a favorite stop for Oregon Humanities special programs. A brand new Health Center has broken ground and is scheduled to open in the fall of 2014; a new Senior Center and Food Bank is also in the planning stages at the same development. Vernonia has a very active Lion’s Club, a PTA and a Booster’s Club that supports children’s activities. There are eleven active churches in town. Work – Known for the huge trees that once grew in the area, Vernonia’s nearby forests still support both large and small natural resource-based businesses. But today you are just as likely to bump into a computer programmer or high tech fabrication plant employee when stopping to fill your tank and grab your morning coffee at the Mini Mart. Vernonia is the ultimate small-town bedroom community for the high tech industry. Intel employees who have moved to town get the best of both worlds – high tech opportunity a short drive from a quiet, safe and friendly small town to raise their families. Local business is another key element in the employment market in Vernonia. Full time, part-time and seasonal jobs are available; some of the larger local employers include the Vernonia School District, Sentry Market, Photo Solutions and Cedar Ridge Conference and Retreat Center. Numerous home-based businesses have become successful; those with an entrepreneurial streak may find an opportunity in Vernonia. Work-from-home is also an option for some as high speed cable internet service is available in town. Play – Vernonia is an outdoor enthusiast’s dream, with multiple parks, trails, streams, rivers and logging roads to explore. We are proud of our city Park system which includes full hook-up RV camping at Anderson Park and primitive camping at Airport Park. Both parks are set along the Nehalem River and offer river access. During summer months, we also enjoy an old-fashioned swimming hole at Hawkins Park. The 42 acre Vernonia Lake is regularly stocked with rainbow trout by ODFW and anglers can also catch largemouth bass, crappie, bluegill and brown bullhead – there may even be a steelhead or two! The lake features a paved trail, a wheelchair accessible fishing platform, restrooms, drinking water, and on-site bait shop/concession stand during the spring and summer months. Vernonia, once the terminus of several logging railroad lines, is now the terminus of two great area recreation trails. The Banks-Vernonia Trail is 21 miles of paved multi-use trail that is now included as part of the Tualatin Valley Scenic Bikeway. The trail is accessible from six trailheads. The Crown Zellerbach Trail travels from Vernonia to Scappoose and offers over 20 miles of multi-surfaced trail more suitable for fat tire bikes, hikers and horseback riders. Hunting and river fishing are two other popular pastimes that beckon Vernonians into the nearby hills. The Nehalem River, which runs 90 miles to the Oregon Coast, is a premier spot for wild native salmon, steelhead and cut throat trout. The Vernonia Golf Club offers a nine hole course and year-round alpine golfing. views of elk during winter and spring. There are two paved parking areas, four viewing areas. this a family-friendly and fun vacation spot. The Oregon Coast is just an hour away from Vernonia with easy access to Cannon Beach, Seaside and Manzanita. Portland, Beaverton and Hillsboro offer shopping, entertainment and sporting events ranging from Single A baseball to MLS soccer to NBA basketball. 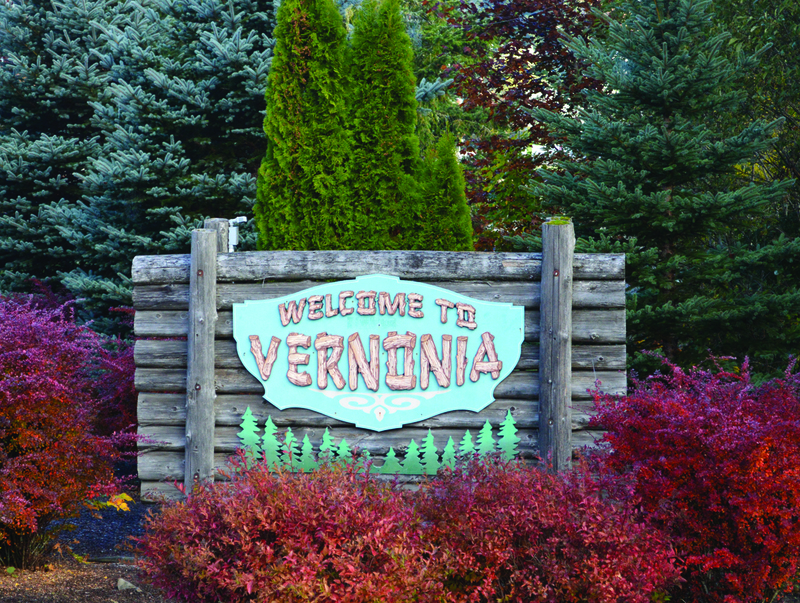 Whether your interest is finding a new home, a new place to open a business, or just a new spot for a favorite hobby, Vernonia offers all that in one charming package. Give it a try, and be amazed at what you find. Come visit Vernonia, and stay a while. Vernonians love their horses. The town has a great equestrian history and numerous opportunities for both young and old cowboy and cowgirls to take part in equestrian activities. 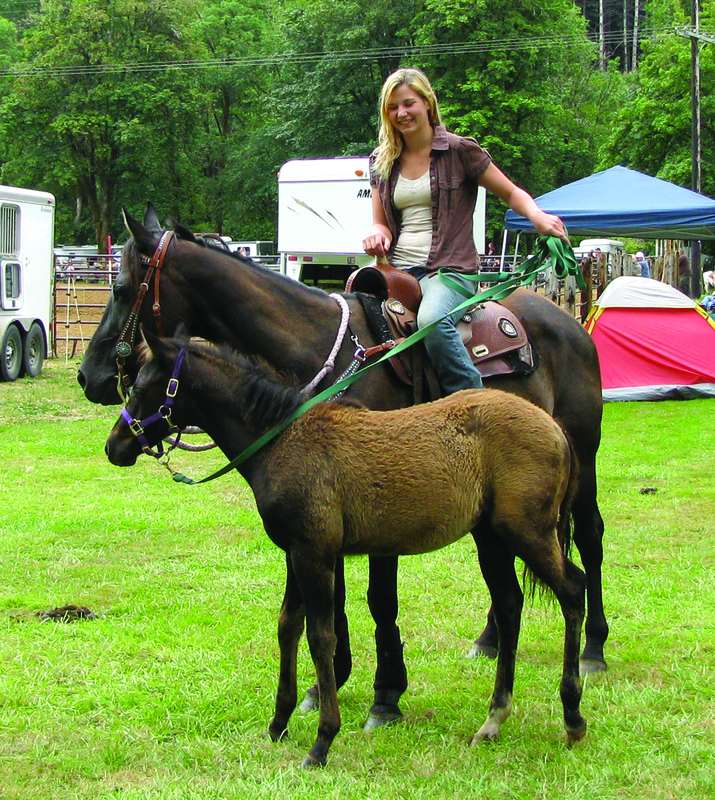 Whether it’s trail riding, horse gaming, 4H or high school competitions, Vernonia has something for everybody. We even have our own rodeo queen! The Vernonia Ridge Riders are a long standing community group who organize gaming days at the Vernonia Horse Area located at Anderson Park right in town. They also hold regular trail rides throughout the summer. Their biggest annual event is their Play Day which takes place on the Sunday of the Vernonia Friendship Jamboree and Logging Show during the first full weekend in August. The Ridge Riders are also always a favorite when they ride in 4th of July and Jamboree parades each summer. 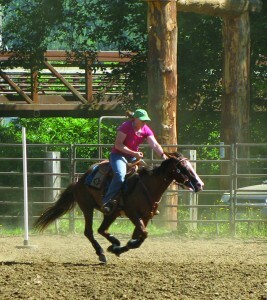 Vernonia has an active Equestrian 4H group which participates in the Columbia County Fair each year. High School students can compete as part of Vernonia OHSET (Oregon High School Equestrian Team). This year the Vernonia team qualifies six of their riders for the state meet. 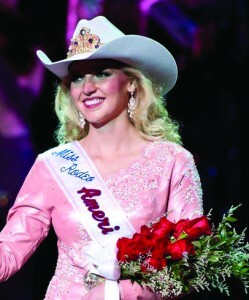 In 2012, Mackenzie Carr of Vernonia was was crowned Miss Rodeo America in Las Vegas at the MGM Hotel and Casino, at the culmination of the week-long Miss Rodeo America Pageant held in conjunction with the Wrangler National Finals Rodeo. At the pageant, Carr won a landslide victory taking home individual honors for Horsemanship, Personality, Appearance, and Speech. Carr, a 2008 graduate of Vernonia High School and class Valedictorian was previously crowned Miss Rodeo Columbia County and Miss Rodeo Oregon. As Miss Rodeo America Carr spent a year traveling the U.S. as an official spokesperson for the sport of professional rodeo, appearing at approximately 100 rodeo events as well as schools, civic groups and other special events during the year of her reign. 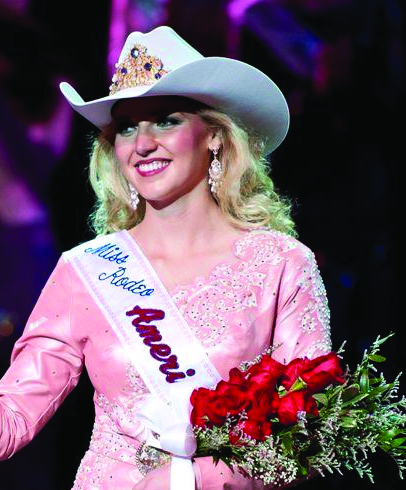 Carr returned to Oregon State University following her year of Miss Rodeo America and is completing a Bachelors Degree in Speech Communications. It has been called quaint and picturesque. It has been compared to Mayberry, North Carolina, the fictional television town of Andy Griffith in the 1960’s. In an age of strip malls and big box stores, downtown Vernonia is a throw back to a by-gone era where the person working the counter is often the owner of the shop. Downtown Vernonia certainly has it’s own special appeal and small town charm. The boundaries are unofficial but most locals consider the flashing light (and the only traffic light in town, another bit of small town charm) and the Rock Creek Bridge to be the borders of downtown. The downtown features the usual rural amenities: a post office, a grocery store, two hardware stores, a dentist office, a bank and a credit union. There is also a laundromat, a handful of real estate agents, two bars and a couple of second hand stores. What you might be surprised to find in this bucolic setting is the Grey Dawn Gallery, which specializes in fine northwest art and features a collection of work by renowned color landscape photographer Christopher Burkett. Owners Dan and Heidi offer custom framing services; Dan also runs his custom furniture making business, Hardwood Originals from his shop in the back of the building. Muffy’s is another surprising business that’s made their home in downtown Vernonia. Muffy’s is the ultimate source of saddle shoes (that’s right, saddle shoes!) and believes they have the largest retail selection in the world for women, children and men. When costume designers in the film industry need to recreate a bygone era they turn to Muffy’s and so can you. Their new stock comes from current manufacturers. Muffy’s also carries more than just new saddle shoes; their stock includes work boots, dress boots, one-of-a kind pre-worn shoes and more. Out on a Limb features gifts, décor items, and antiques. Providing one-stop shopping for cards, gifts for any occasion with a country theme. One unexpected treat about Vernonia are the numerous restaurants. 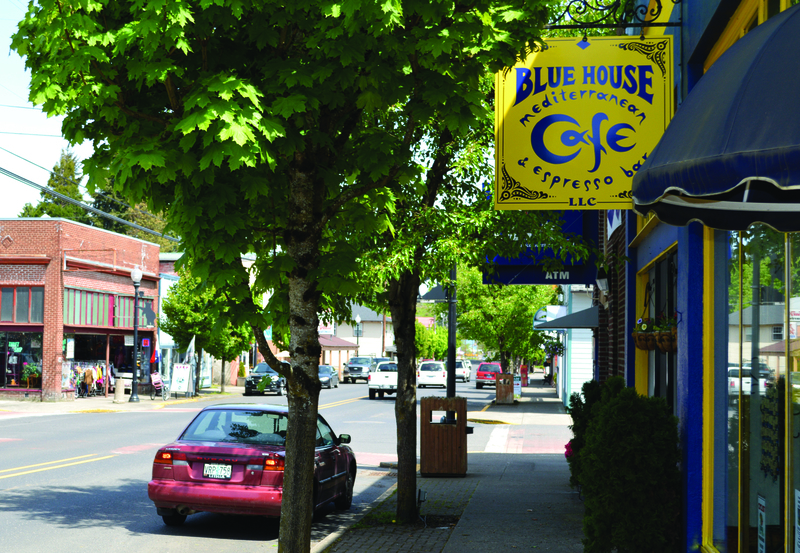 Downtown Vernonia has seven places you can eat, with a wide variety of choices, all within a few blocks of each other. From American grill to Mexican to Middle Eastern food, Vernonia just about has it all. Gretchen’s Saddlery makes high quality, handcrafted saddles, tack and leather items, including belts, wallets handbags and more, all at affordable prices. 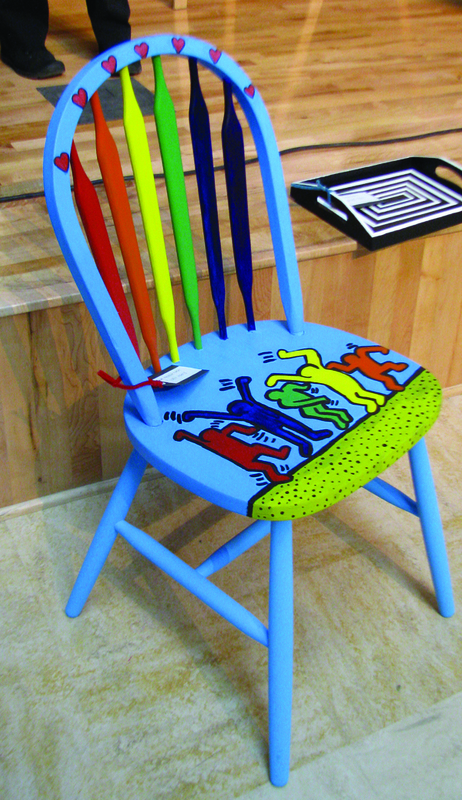 It’s a craft from another era brought back to life in small town Vernonia. Natural Path Health Services is a Naturopathic and Chinese medicine clinic. Dr. Carol McIntyre treats patients using a combination of different modalities including Acupuncture, spinal manipulation, nutritional and herbal therapies and more. The City of Vernonia has been added to the South Columbia County Enterprise Zone. Working with the Columbia County Economic Team (CCET) in the spring of 2014, the City of Vernonia successfully applied for the expansion of the zone to include Vernonia. Traditionally a community of commuters and blue collar workers, Vernonia is seeing a an increase in the manufacturing sector and is working to meet those demands through zoning and other changes. The State of Oregon and local agencies within Columbia County, including CCET, offer a range of public incentives and financing options that strengthen the competitiveness of local firms by reducing the costs of doing business and providing access to capital. Most of these programs are geared towards manufacturing, logistics, processing, and other “trade sector businesses”. The South Columbia Enterprise Zone currently offers three to five years of property tax exceptions for new investments in plants and equipment for eligible business firms. Curtis’s manufacturing plant was damaged in the 2007 flood and the incentives available may allow him to move his business to higher ground at the California Avenue industrial site currently under development in Vernonia. The high school recently was awarded a grant to help them expand their career and technical education curriculum, and is working on partnerships with Oregon businesses to equip students for careers in these technical fields. The Governor’s office has been making it a priority to create a workforce that is able to meet the needs of our growing economy, with particular emphasis on the creation and retention of living wage jobs. For more information visit the South Columbia County Enterprise Zone. 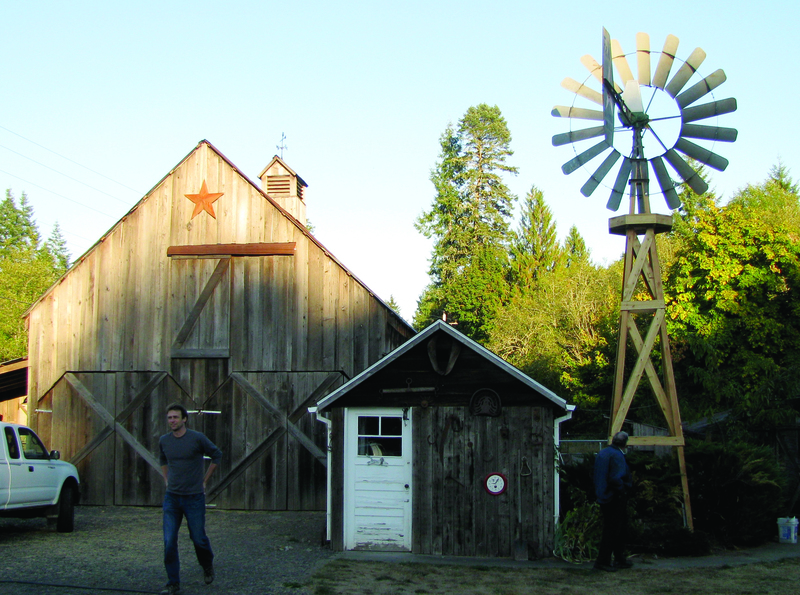 On the east side of Highway 47, just south of Vernonia sits a wooden barn with an old windmill standing next to it. When the wind blows, the windmill spins, just like it did in the old days. A handful of sheep and goats wander and graze in the small pasture behind the barn. In the summer the gardens are overflowing with produce. It looks like a Norman Rockwell painting from the 1940’s. It looks like the 1940’s but in reality it’s a modern day, operating, small scale, family farm. The property is owned by Jeff and Susan Ely. The old barn was rebuilt by Jeff after collapsing in 2007 . The old Star windmill was installed by the Ely’s, with the help of some friends. The Elys have been purposely rebuilding this small-scale family farm complete with livestock, large producing gardens and most recently the installation of the windmill. And of course, there is that magnificent barn that they revived. Reviving the old farm is, in part, educational for the Ely’s three children; Bradley, Meagan and Lauren all participate in 4-H and raise the livestock living on the property. The reconstruction of the barn was necessary because the family needed a place to keep the livestock and store hay and machinery. It also provided an opportunity to preserve some history. Plus, it all looks really great! We had the pleasure of visiting with the Elys, who also invited the previous property owners, Del and Kathy Allen, as well as Jack Finzel, who helped with the windmill installation. It was a beautiful fall evening and the group of us sat on the back patio the Elys constructed, soaking up the atmosphere. We talked about the history of the property and the changes the Elys have made as the sheep grazed nearby and goats nibbled on the trees. It was just about perfect. The Elys moved their family to the Vernonia area from Hillsboro in 2006, purchasing the five acres from the Allens. According to the Allens, who bought the property in 1979, the land is part of one of the original handful of homesteads in the region. Like most homesteads in the area, the property was originally logged and then farmed. The property also had an orchard; the remnants remained when the Allens owned the place. In addition to the home improvements, the Elys have done some other major work on the property since they acquired it. They moved in around Thanksgiving of 2006; in February of 2007 the old barn collapsed. For the Ely’s, the barn (and the barn owl that lived inside) was a major selling point when they decided to buy. “When we came to look at the place it was a perfect fall weekend and there were apples on the tree, the leaves were all turning, and it just looked so perfect with the old barn that even had a barn owl looking down on us.” The Elys were hooked and moved in soon afterwards. Then the barn collapsed. Jeff Ely and his brother had some experience building barns when they were younger, and so Jeff rebuilt this barn himself. Ely used new wood for the interior structure but used the original barn boards for the outside and reused the old tin roof as well. Ely says he reoriented the barn on the property and also built it wider and not as tall as the original. They have also used some of the hand-hewn wood that was left over in projects around the property, including handrails in the barn and patio furniture. The Star windmill that the Elys installed was built by Flint & Walling and is a ten foot model number 1937, built somewhere between 1937 and 1953. Jack Finzel, who has an interest in antique steam engines and other old machinery, found the windmill (which did not include a tower for it) and purchased it at a swap meet in Brooks, OR several years ago. He recently found out that the Elys were looking for one and sold it to them. He then helped them install it. Jeff Ely built the tower and raised it with the help of Dennis Weller of Weller and Sons Logging. The windmill is fully functional and could operate a pump on a well; the Elys just like it because it looks good and don’t have any plans to use it for anything else. The rudder has original printing on both sides and includes the manufacturer, Flint & Walling as well as the retailer, Mitchell, Lewis and Staver, which, according to Finzel, was a west coast hardware distributor. It even says Portland on it. All of the original lettering was repainted by hand with enamel paint to give it a few more years of visibility. The Ely family has raised lambs and sold plants in addition to raising meat rabbits and chickens for eggs. They also have a horse and two Nubian goats, which are considered pets and entertainment. They are also growing strawberries, tomatoes, beans, peas, cucumbers, potatoes, onions, peppers, basil, spinach, lettuce and huge blackberries! The Elys have re-created their own version of a homestead in Vernonia and are enjoying and sharing the fruits of their labors. For them it’s a little slice of history and of heaven. The town of Vernonia is attracting visitors because it finds itself at the epicenter of two regional trails. The newly established Tualatin Valley Scenic Bikeway (which includes the decades old Banks-Vernonia State Trail) and the Crown Zellerbach (CZ) Trail are bringing visitors, especially visitors on bicycles, in droves during the spring, summer and fall. These trails are making a Vernonia a popular destination that is just being discovered. In 2013 the Oregon State Parks and Recreation Commission formally approved the Tualatin Valley Scenic Bikeway as the tenth designated bikeway in the state. The bikeway features the best of the northern Willamette Valley, from friendly downtowns to fertile farmlands and lush natural areas. Set in the heart of Washington County and traveling into Columbia County, the Bikeway runs for 30 miles one way, and connects with, and includes, the Banks-Vernonia State Trail, traveling another 21 miles from Banks to Vernonia. The trail provides views of the Coast Range, farms, vineyards, and natural areas near quaint downtowns. The primary natural feature is the Tualatin River and the surrounding river basin, which is dotted with wetlands and forest stands. Farm produce stands, farmers’ markets and a winery along the route offer a wonderful seasonal mix of activities. 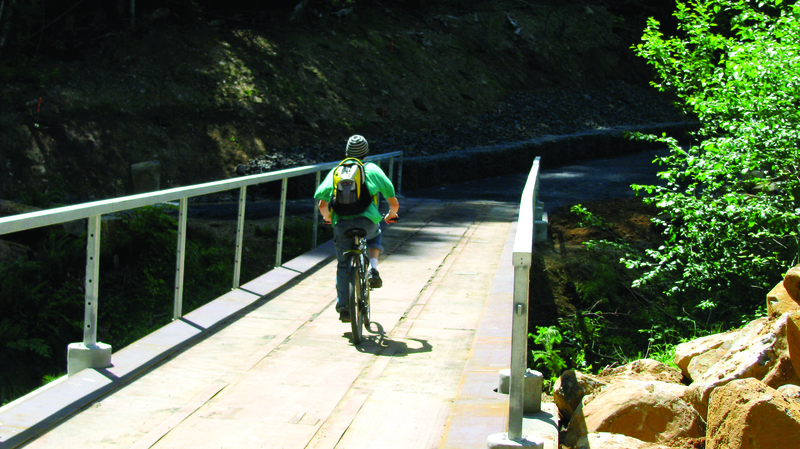 The connection to the Banks-Vernonia Trail provides riders with a is a multi-use trail paved over an old railroad grade. The trail is suitable for walkers, joggers, bikers or mounted equestrian riders. The trail allows riders to get off the roadway and enjoy a 21 mile tree-lined, easy-grade pathway. The trail has 13 old bridges crossing swift streams and wooden trestles rise up from the past. The Banks-Vernonia Trail can be accessed at any of 6 points along its progression – including trailheads at Manning, Buxton, Tophill, and Beaver Creek, as well as at Banks and Vernonia themselves – and permits only non-motorized use at a safe, slow speed. With trailheads in Vernonia and Hillsboro, the Tualatin Valley Bikeway begins on mostly rural roads with terrain ranging from plains to rolling hills, with the middle portion of the state trail featuring a climb of about 600 feet. The Scenic Bikeway is rated as a moderately challenging ride and can be enjoyed by a wide range of cyclists. With the route’s layout, cyclists have many overnight options for multi-day rides, while day trips covering sub-sections of the route are easy, too. L.L. Stub Stewart State Park is adjacent to the State Trail and offers camping, as does Vernonia’s Anderson and Airport Parks. Hillsboro, Forest Grove, Banks and Vernonia offer lodging, dining and other services. The route’s northern and southern hubs are public parks, each with parking, restrooms and drinking water. Several other parks on the route offer picnic shelters and restrooms. Transit connections are available in Hillsboro, Forest Grove, Banks and Vernonia. Paved trails in and around Vernonia give families a chance to ride together as well. The connection from the Banks-Vernonia Trail to Webb Way at Anderson Park takes riders to Vernonia Lake and is a flat and easy ride for even the youngest cyclists. The Crown Zellerbach Trail is a different ride altogether and is Columbia County’s newest jewel. Spanning the twenty miles from the outskirts of Vernonia to Chapman’s Landing on the Columbia River in Scappoose, the trail is accessible to all non-motorized traffic, including bikes, horses and hikers and is maintained by Columbia County. The trail is mostly hard pack, with some areas of gravel, and follows logging roads and abandoned rail lines. It is accessible at several locations along Scappoose-Vernonia Hwy. The CZ Trail gives users a new opportunity to experience the beauty and history of Columbia County. The rougher style of the trail makes it attractive for mountain bikes and bikes with wider profiled tires as well as equestrian trail riders and provides a great alternative to the paved Banks-Vernonia Trail. Speaking of mountain bikes, Stub Stewart State Park, just 10 miles south of Vernonia, has a new Free Ride Skills Area that is open to the public. A session/training area includes options for beginner to advanced Free Ride mountain bikers. Initial construction has focused on beginner and intermediate level trails but construction in the area is ongoing. Following IMBA guidelines for trail layout, the Free Ride Area is geographically “remote” to create a natural barrier of access to inexperienced riders. All trails within Stub Stewart Park are open to mountain bike riders. There’s more than 15+ miles of natural surface, shared-use trails and several miles of mountain biking specific trails. As you can see, it’s no wonder Vernonia is becoming a destination for bicycle riders of all types.